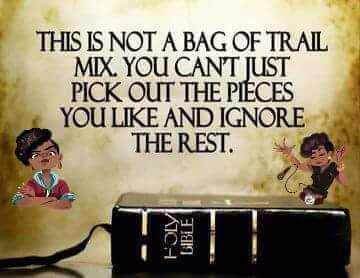 “For the commandment is a lamp, And the law a light; Reproofs of instruction are the way of life,”(Proverbs 6:23). “Yes, and all who desire to live godly in Christ Jesus will suffer persecution. But evil men and impostors will grow worse and worse, deceiving and being deceived. But you must continue in the things which you have learned and been assured of, knowing from whom you have learned them, and that from childhood you have known the Holy Scriptures, which are able to make you wise for salvation through faith which is in Christ Jesus. All Scripture is given by inspiration of God, and is profitable for doctrine, for reproof, for correction, for instruction in righteousness, that the man of God may be complete, thoroughly equipped for every good work”. [2 Timothy 3:12‭-‬17].